We all love being with our dogs. But there are simply times we must be apart and leave them home alone. This isn’t a big deal for most dogs, but if your pup has separation anxiety, leaving them home alone can be immensely stressful for both you and your dog. We don’t know exactly what causes canine separation anxiety. Some believe it may be related to puppies being separated from their mothers too early. Others believe it’s more related to trauma during their life or a change in living situation such as a move. Whatever, the cause, the solution is not always apparent, and often requires a combination of patience, training, and the right set of tools. It goes without saying that you should always consult your veterinarian if your dog begins exhibiting signs of separation anxiety. There are often underlying medical issues that can be diagnosed through an examination or blood work. I recently blogged about my personal journey of battling separation anxiety with my rescue dog. For me, the final solution involved a combination of tactics, including the 4 techniques listed below. I hope these ideas are helpful for you. One of the obvious signals to your dog that they have been left alone is silence. 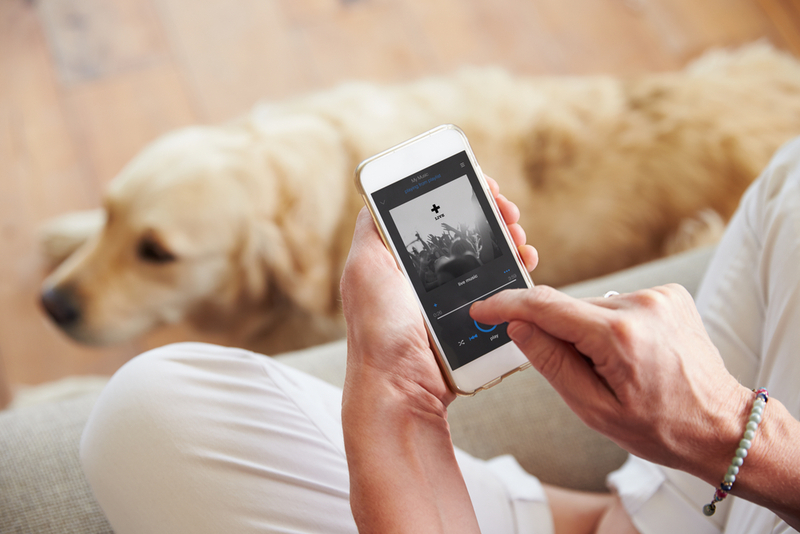 Maintaining a level of ambient noise in your home makes them feel safe. Recently, Amazon’s Audible.com and Cesar Millan’s Dog Psychology Center performed a study on 100 volunteer dogs. The results of a 28 day study found that listening to audiobooks can make your dog calmer and happier when you’re away. Personally, I had a breakthrough in my dog’s separation anxiety when I discovered that I was able to loop a recording of my voice from a CD player that was placed in another room, making my dog believe I was home all along. For some, it could be as simple as leaving the TV or radio on. Any guesses on what your dog’s favorite smell is? That’s right, the smell of YOU! For many, scent therapy alone will not be enough to cure true separation anxiety, but its often part of a successful holistic strategy. For most dogs, separation anxiety begins BEFORE you leave the house. Before you even walk out the door, your dog begins to sense what’s going to happen. Dogs are incredibly intelligent and easily pick up on the queues: Grabbing your keys. Putting on your shoes. Getting dressed. These are all signs you’re about to leave. For example, you pick up your keys and put them in your pocket or purse, then go sit down on the couch. You put on your shoes, and walk over and sit down and pet your dog. You walk out the door, and quickly walk back in and greet your pup. Desensitization is a process that takes many days or even weeks of work and isn’t a one time thing. It requires a tremendous amount of patience and often needs to be combined with other methods of treating anxiety. Out of all the ideas here, this is perhaps the most popular over the last few years. CBD has been touted to offer a myriad of benefits, anything from anxiety and seizures to pain management and more. While much research has yet to be done, the early results of clinical trials on CBD are very promising. CBD interacts with the endocannabinoid system in your dog’s body and appears to help restore homeostasis and a sense of well being. This can be particularly helpful if given to a dog prior to a stressful situation. Personally, I was able to use CBD to help my dog beat separation anxiety and discontinue a medication that was causing severe side-effects. Your mileage may vary, but the amount of dog owners claiming CBD helped their dog’s anxiety is growing by the day. 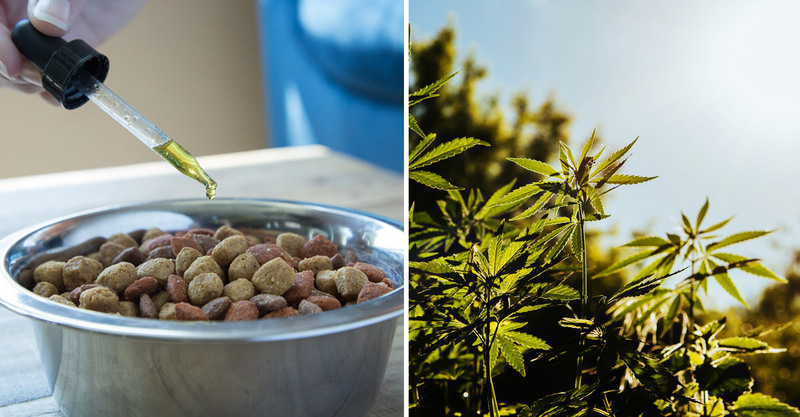 In a survey conducted by iHeartDogs in April of 2018, 76 dog owners reported to have given CBD oil to their dogs for anxiety. 67% percent of the respondents claimed that the oil was “Very Effective” or “Somewhat Effective” in treating their dogs anxiety. Again, CBD may not completely cure your pup’s separation issues, but may be an effective tool when combined with the other methods listed. Separation anxiety can be an extremely frustrating situation for both dog and owners. I hope the ideas listed here will be helpful in your journey through this difficult condition.